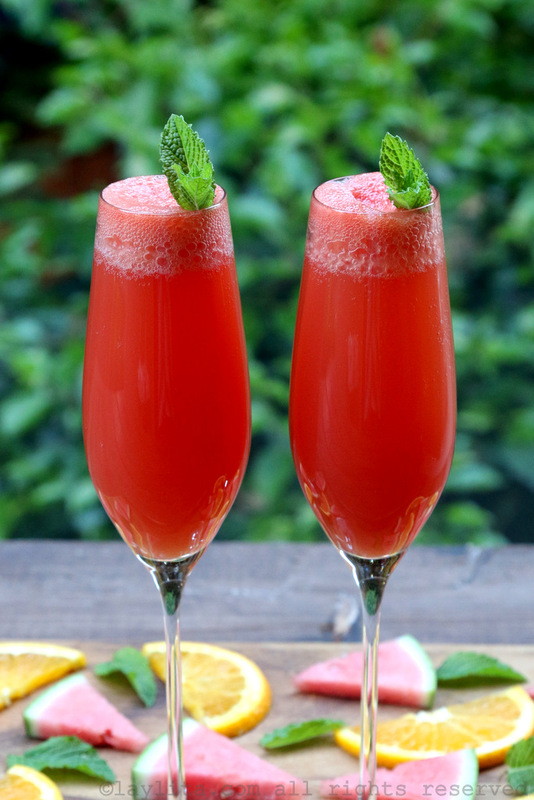 This watermelon mimosa recipe is a colorful and refreshing twist on the traditional mimosa cocktail – it is made with watermelon, orange juice, sugar to taste, sparkling wine, and garnished with fresh mint. One of the things I love about summer, is being able to spend more time outside. This means making refreshing summer drinks to sip on. I especially like drinks that are made with sparkling wine – champagne or cava or prosecco. 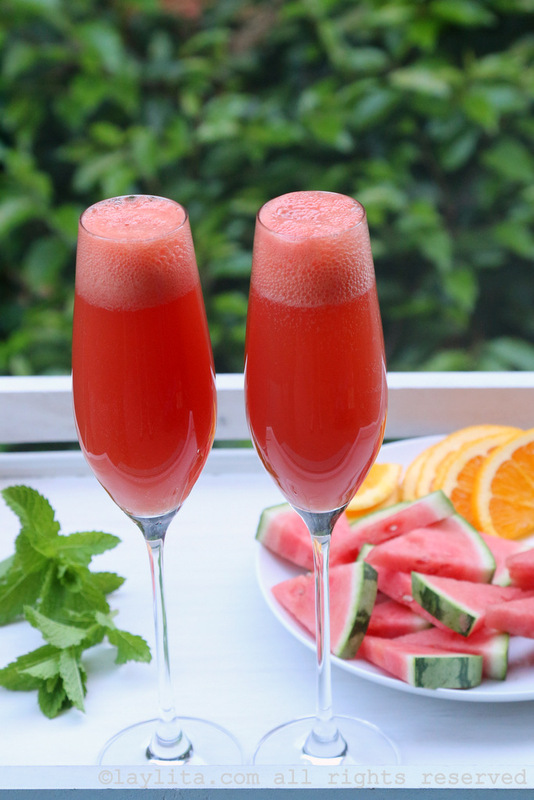 This refreshing watermelon mimosa is a twist on the classic bubbly mimosa cocktail made with watermelon, orange juice, and sparkling wine. Blend the watermelon chunks with the orange juice until you have a smooth mix. 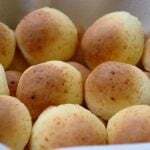 Taste and add sugar/honey if needed. Strain the watermelon orange mix (not required, but recommended). Chill the watermelon orange mix in the refrigerator until ready to prepare the drinks. 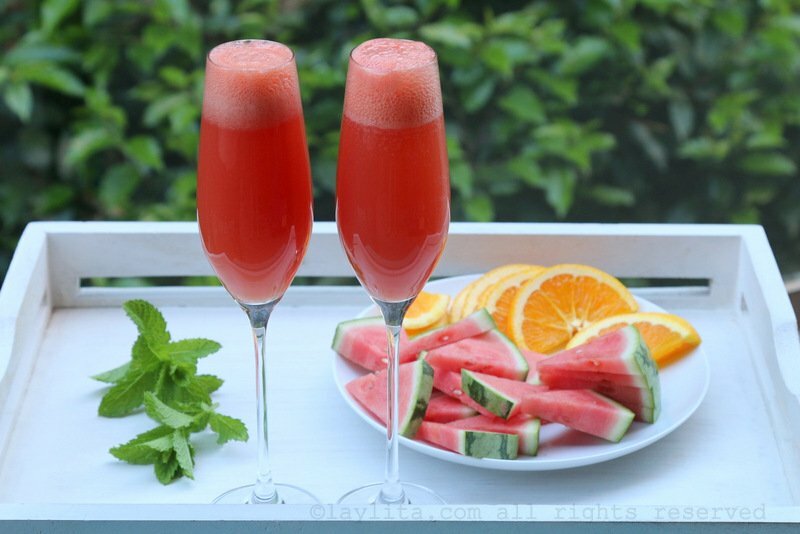 Pour the watermelon orange mix into champagne flutes, about half full. Add the champagne or other sparkling wine, pouring it gently to avoid from making a bubbly mess. Stir gently and garnish with a fresh sprig of mint. For a non-alcoholic version you can either leave out the champagne or replace it with a sparkling limeade/lemonade or sparkling water. You never know when there might be an occasion to celebrate, so just in case I always keep a bottle of champagne, or prosecco or cava, in the refrigerator. And there’s always something to celebrate: it’s Friday (or it’s Friday junior, i.e. Thursday if I’m desperate), there’s a good F1 race on the TV, etc. Of course, the number one reason to celebrate if you live in Seattle: the sun is out! Yes, when the sun comes out around here all I want to do is sit outside and have a nice refreshing celebratory drink. Something quick, refreshing and also a drink where I have the option to leave out the alcohol so that the kids can also enjoy a delicious fruity drink. 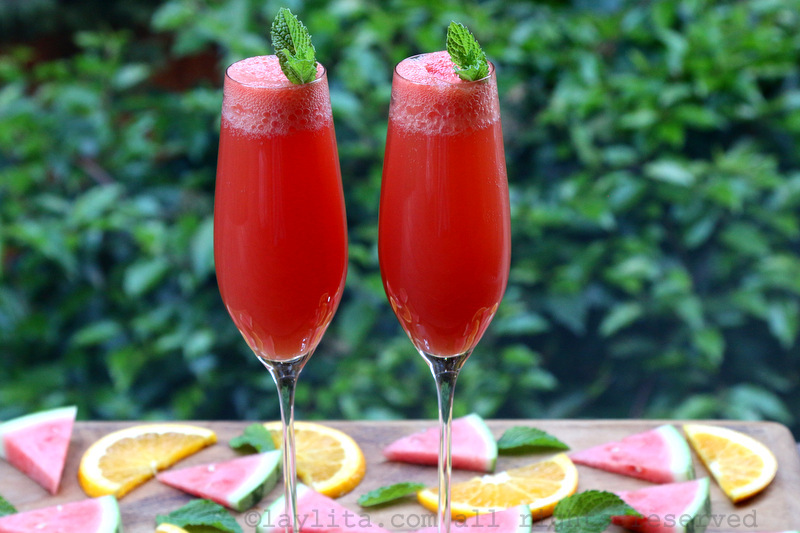 This watermelon orange mimosa cocktail is also a good drink to make when you have guests, it is a colorful and tasteful change from the classic mimosa (yes, sometimes I mess with the classics, sorry). 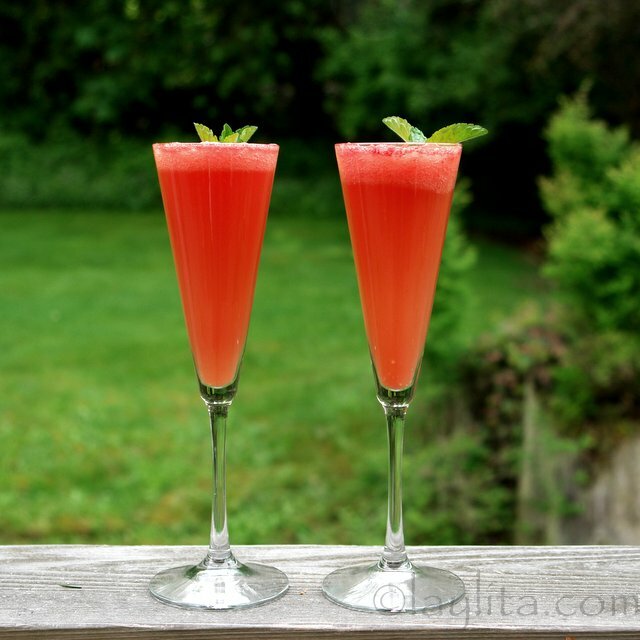 You can make the watermelon orange mixture in advance and prepare the drinks when they arrive. For a non-alcoholic version you can either leave out the champagne or replace it with a sparkling limeade. How long in advance can the watermelon orange juice mixture be prepared? Would overnight (12 hours or so) be too long? 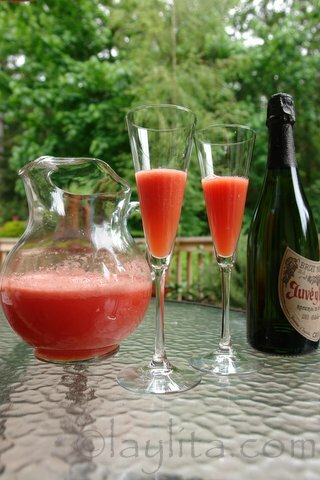 Overnight is fine, with mimosas (and drinks with sparkling wines) it helps prevent overflowing if the juice isn’t freshly made at the moment, so refrigerating it for some time before serving them is perfect. Thanks for sharing, this was really tasty. Realmente, no dejas de sorprenderme con tanto color en todo lo que proyectas. Muy acertada? no, acertadisima!!! tus recetas de bebidas no alcoholicas, se viene el verano y llegan los asaditos y las reuniones familiares, perfectas para satisfacer los gustos femenimos, especialmente de las suegritas! Gracias otra vez! This looks so good and refreshing. I love the color! Great idea for a summer birthday party!!!! I’ve been looking for ideas for my daughter’s 6th b-day party and SHE LOVES WATERMELON (who doesn’t?). I would use the non-alcohol version!!! In another note, you make me laugh! !, the way you write your comments is so funny, Fridays-Jr. in my country we call it ‘sabado chiquito’, ja! This looks like a great refreshing summery drink. 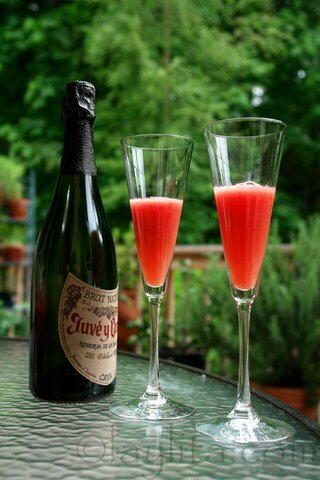 What a great alternative to the traditional mimosa, I could drink one right now. 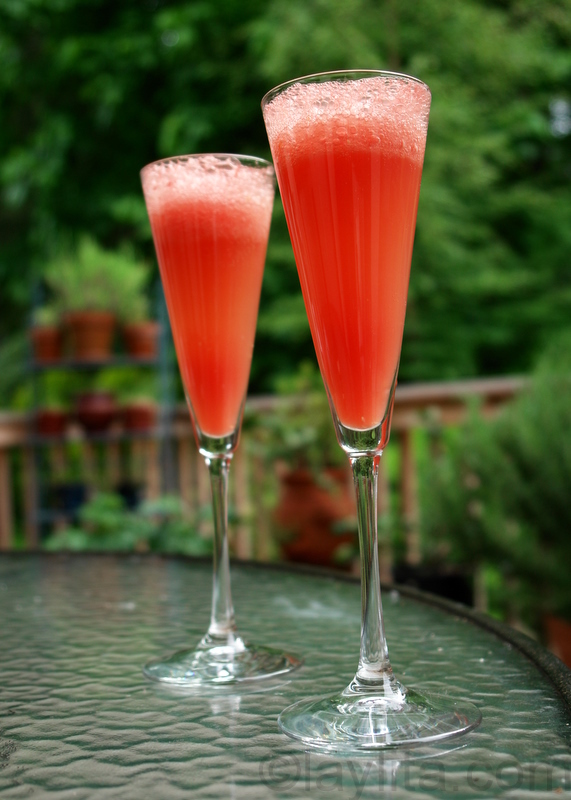 What a great idea for a summer twist on the mimosa! I like it! I can’t wait to try these. I’m definitely serving them at my conasta party. You make me laugh- Friday jr. Ha! I have those days too! Fro sure! I love the look of this recipe. PERFECT for summer brunch. Just beautiful! Thanks for sharing! ohhh!! love it! great for summertime brunch! 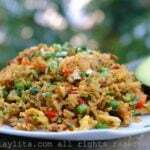 actually i want to make some of that right now!! 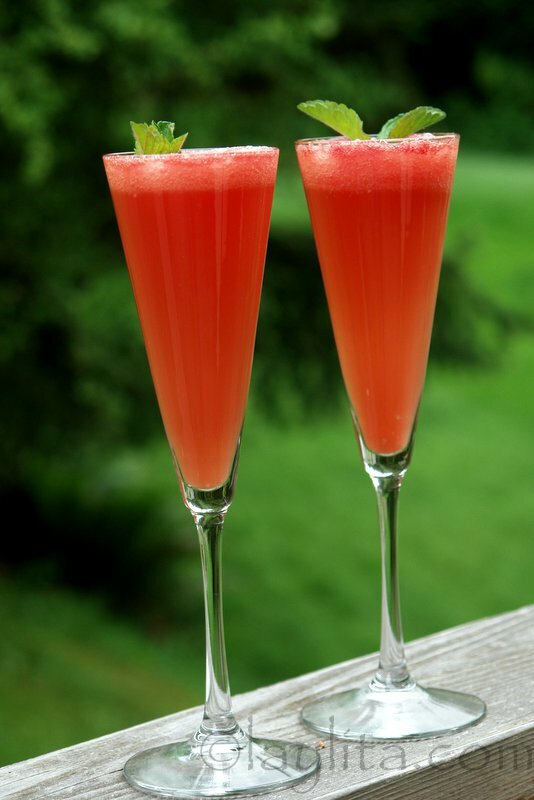 As a watermelon afficionado, I believe that your “mimosa” is possibly the best drink recipe that I have ever seen. Thanks for sharing your talent with all of us watermelon lovers.